Ever since the Android platform was launched, it has had the iPhone in its sights. And we have been debating iPhone vs Android ever since. However, over the years Android has slowly eaten away at Apple’s market share. 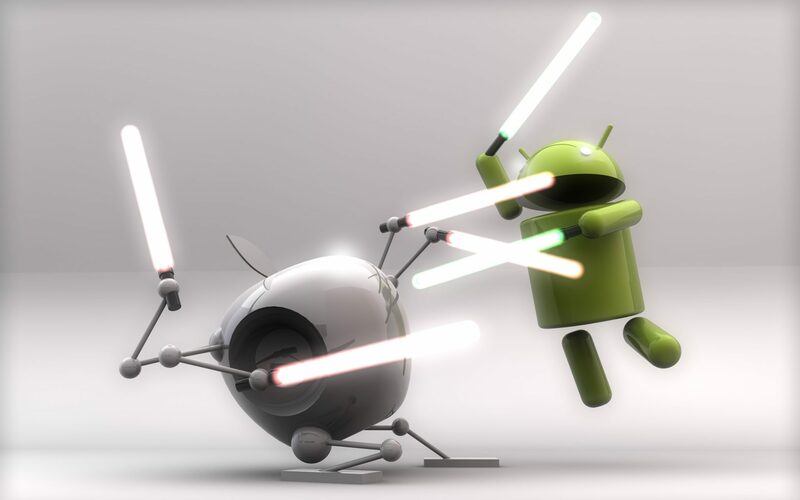 And with some major commercial success from Samsung, the iPhone vs Android talk may be shifting. Here are some of the reasons why Apple has stumbled and why Android has managed to make such a dent. One of the big turn-offs for any product is a high price. Apple products have been known to have high prices and that has not changed. What has changed however is the competition. There are a much wider variety of Android phones and they are cheaper than an iPhone while still offering the features people want. While mobile enthusiasts may argue differently, sometimes for consumers the iPhone vs Android decision comes down solely to out of pocket expense. This is the reason many have speculated a cheaper version of the iPhone to be released in the near future. It would help Apple break into that market of cheaper Android phones. I don’t think Apple really saw the phablet market ever coming into existence. Frankly, neither did I, as the Galaxy Note was just too big of a phone for me. However, Samsung’s Galaxy Note series has been a commercial hit and introduced wide competition from other big screen phones. At CES this year there was an announcement of a 6.1” phone. And while the smaller iPhone certainly has its own market of people who don’t want such massive devices, it alienates anyone that is in the market for a bigger phone. And given Apple’s repeated knocking of the idea of a phablet, I find it hard to believe that a 5” iPhone is anywhere close to being released. The iPhone was once synonymous with innovation for many. In recent years that has not been the case. The iPhone 5, while a great device and the best iPhone on the market, really boiled down to a bigger screen, 4G, and a few routine touch ups. There wasn’t anything really new. One of the biggest components of the iPhone vs Android debate is the comparison of software as opposed to hardware. If the recent software update is anything to go by, Apple has been dropping the ball. The iPhone had to deal with the meltdown of its Maps application and a less than stellar Passbook reception, while Android is able to flaunt their true multitasking and widgets. This lack of innovation can definitely be seen as a result of Apple losing Jobs, but it is in no way an excuse. However, with new management in the software department, Apple will need to deliver in the next iOS if it hopes to get back some momentum in the iPhone vs Android discussions. Given that Android is not one company; I attribute this point mainly to Samsung who have had the biggest influence on Android’s growth. Apple’s advertisements have grown a bit stale. The white background, clean cut look is fine but at the same time can be considered boring. Samsung’s advertising strategy however has a better sense of humor in my opinion and do what Samsung should be doing: taking shots at the iPhone and promoting Android. The commercials exemplify features that are exclusive to Android such as multitasking and a bigger screen, whereas the things that Apple are promoting aren’t necessarily exclusive to iPhone or iOS. Given the recent drop in sales expectations, the demand for iPhones is definitely being called into question. The pressure from Android is hurting Apple and it will be up to them to respond after losing some steam in the iPhone vs Android debate.